Do you think you have what it takes to be a Professional Part Time Tutor? 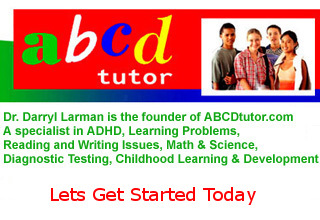 We are looking for tutors in for Boca Raton, Delray Beach, Boynton Beach, Hollywood, Aventura too. We will call you after we review your resume, photo and cell number important. Thank you. From young teacher to military duty to grad school to patented inventor to researcher Dr. Darryl Larman has proven his methods work.